it’s Stretch Tuesday time again with the BugDoc. Renee and I just spent two weeks in France traveling through Provence across to Nice. 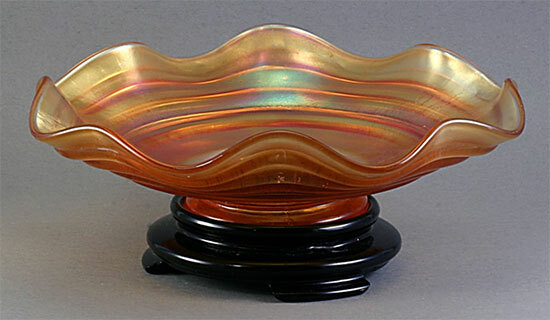 It was beautiful landscapes, buildings, food and wine, but nothing in the form of carnival or stretch glass was found. 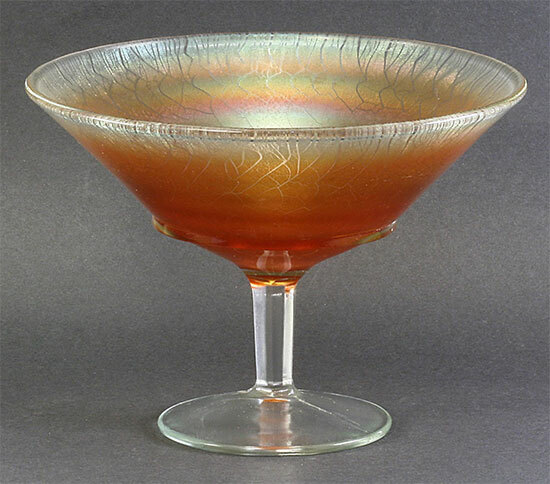 Though I have to admit, we didn’t spend much time looking for iridized glassware! LOL! 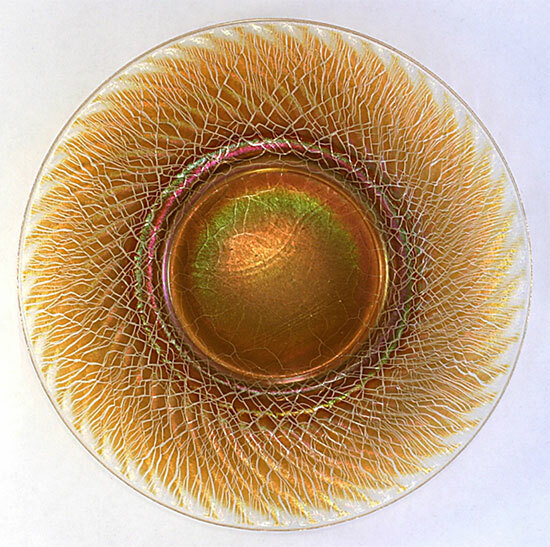 I noticed the marigold piece last night and figured I’d carry it on with marigold stretch pieces that I believe are some nice pieces that illustrate this effect in stretch glass. 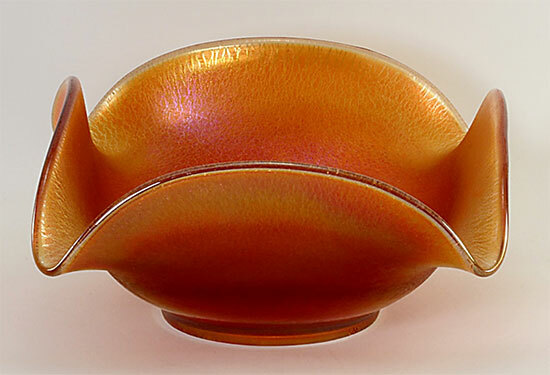 Unfortunately, many of the stretch glass manufacturers produced a fair amount of stretch glass in marigold, some companies, especially Fenton didn’t really stretch (reheat and reshape) their Grecian Gold very commonly. Imperial was the master of marigold stretch in the production of their Pearl Ruby color in the Jewels line. 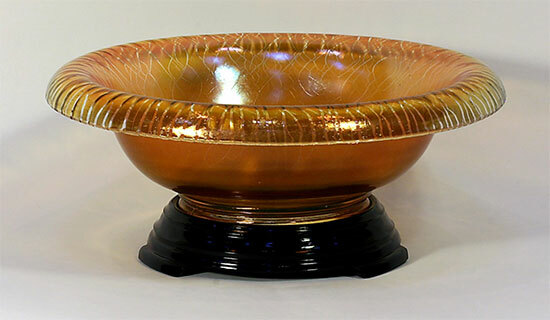 Here is a Fenton ringed bowl in Grecian Gold with a crimped edge. You can see only a satiny finish! Bummer. 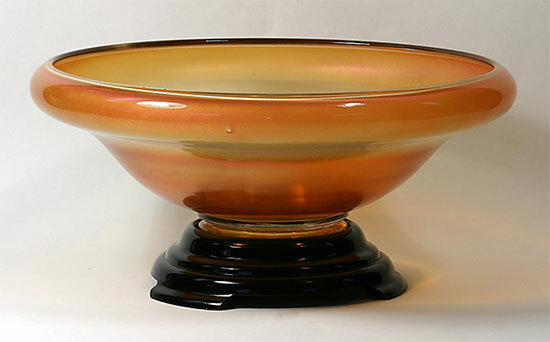 And here is a giant Fenton #604 punch bowl in Grecian Gold, but no real stretch effect! Now, compare those Imperial pieces with this #46 square bow in Pearl Ruby! The double doping technique used in the Pearl finishes make for an electric finish. Of course, Imperial also produced Rose Ice in their regular stretch line and these are also generally well stretched. 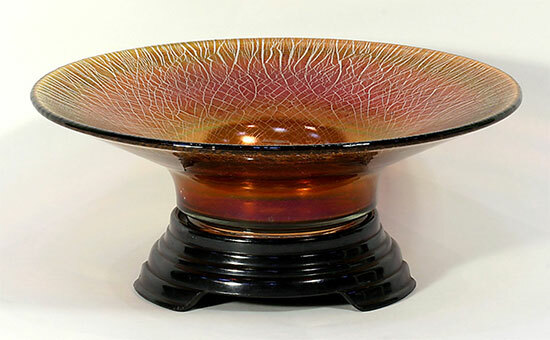 I’ve decided to use the 8-inch spiral optic plate as an example of a dark marigold effect. Northwood also made a few pieces with marigold stretch effect. We don’t know the actual Northwood name for this effect. Many of the marigold pieces actually grade from marigold in the center to crystal along the edges which suggests two dopes in the process. A bit surprising is the marigold stretch made by Jeannette. 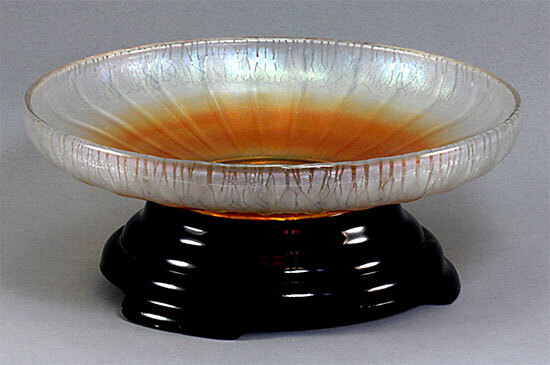 Some of their bowls have incredible colors that are reflected. Because of this, many dealers, even today still think they are Imperial production. Lancaster Glass also made a lot of marigold stretch. They made a light version and a dark version.